In Part 1 of this series, we learned that English is the most spoken non-native language in the world which is why so many people want to learn this language. In Part 2, we talked about finding a teaching job abroad by first deciding what type of school setting you prefer and what requirements are needed for that school. Then we suggested specific training that will help you find a good job. In this last part, we mention several things to do before accepting a job and we list characteristics of successful teachers overseas. Also, we contacted several teachers who are currently teaching abroad to share their insights, experiences and suggestions with you. WHAT SHOULD YOU DO BEFORE YOU ACCEPT A JOB? 1. Read your teaching contract to understand the school/district policies. 2. Read your school teacher handbook and the school website. WHAT DOES IT TAKE TO SUCCESSFULLY TEACH ABROAD? Be patient with your students and yourself. You’re adjusting to a new country. To combat homesickness, stay busy, make friends and give yourself adjustment time. Be adaptable to a new way of doing things and go with the flow. Be sensitive to the needs of your students. Some of them may walk a long way to get to school and back. Knowing how they live helps you meet their individual needs. Be a multi-tasker. 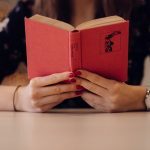 Not only do you need to learn how to teach; you must also become familiar with the regional dos and don’ts which may vary greatly from culture to culture. Be proactive in networking with peer teachers as you strive to make new friends. Be resourceful. Some resources such as art supplies, flashcards, books and magazines may not be available to you. Decide what items you may have to buy with your own money. Be flexible. Your school may have unconventional hours, class schedule changes, large classes and unannounced events and activities. Be positive and realize that children are much the same regardless of where they’re from. Most want to make good grades, make parents happy, go to college and get a good job. Be empathetic with parents who want the best for their children. They may be making a considerable financial investment to make sure their children learn English. And last, but not least, be loving and establish caring relationships with your students. You are a role model and ambassador to them. WHAT ELSE CAN YOU DO TO ENJOY TEACHING ABROAD? 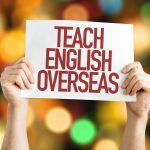 Seek advice from other teachers who have taught English abroad. Use social media to find information about teaching abroad. Try to learn the local language. Consider taking a course if one is offered. Establish ties with the locals and get involved with the community. Participate in extra-curricular school activities. Find a mentor teacher and shadow other teachers at your school. Speak slowly and use shorter sentences when teaching English. Use a variety of methods and resources in your teaching and include pictures and power points. Become friends with other English speaking teachers for social and emotional support. WHAT ADVICE DO SOME TEACHERS ABROAD HAVE TO SHARE WITH YOU? English teachers who travel abroad are in high demand and have vast opportunities for employment. If you decide to embark on this journey, your international teaching career will become a valuable part of your life and your history. You will experience other cultures, explore exciting places and escape from the normalcy of everyday life. Your teaching abroad adventure will be as much of a learning experience for you as it is for your students. . . And you will forever be changed . . . for the better!